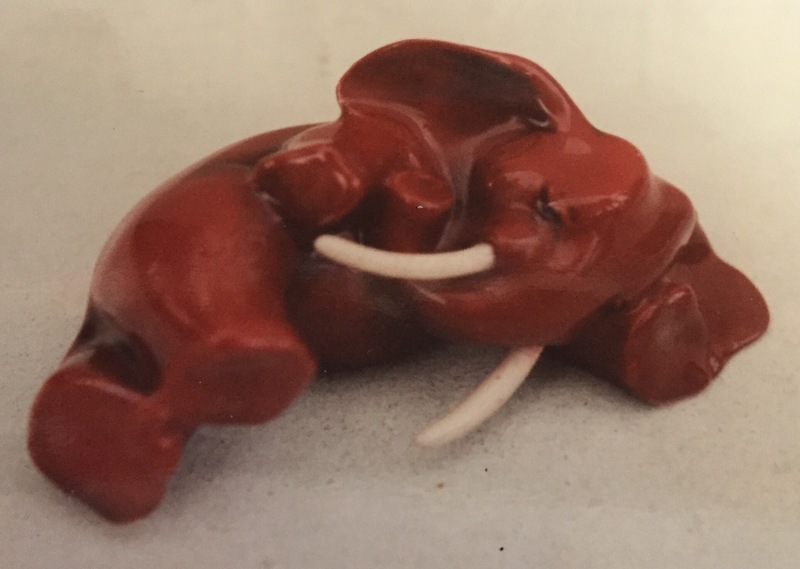 With a long history steeped in myth and also religious importance it is no surprise that there are so many elephant studies to be found in flambé and other associated glazes. 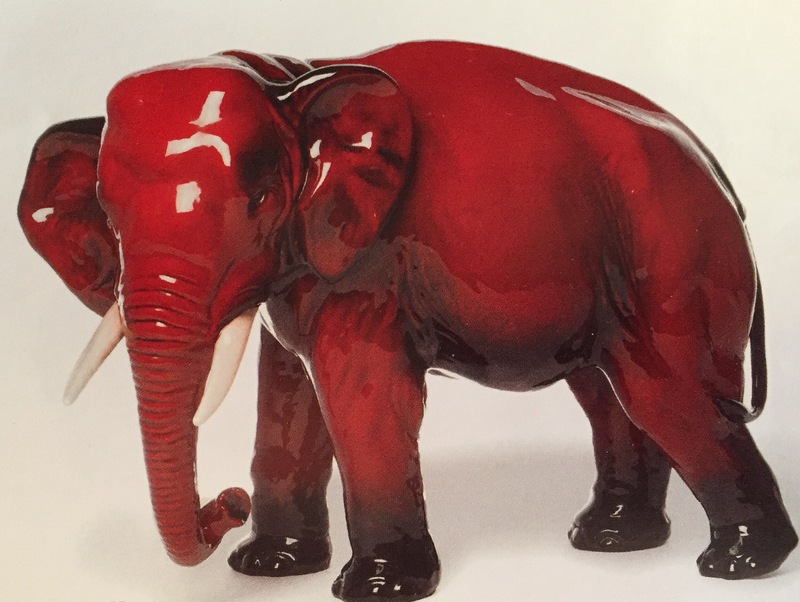 Very rare character elephant in flambé. Asian religion gives particular importance to the elephant and so the marriage with the flambé glaze seems particularly appropriate. 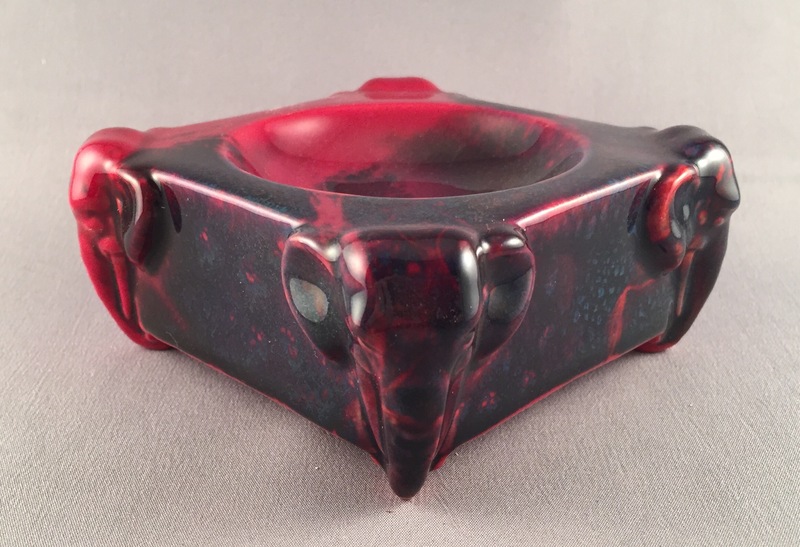 Elephant head ashtray in Sung, discontinued 1961. The elephant is a symbol of strength And given the size of some of Doulton’s elephant studies they certainly convert this immense strength. Large size elephant 47cm long. The interesting part of collecting this species is that many early models were given additional and different treatments including Sung and Chinese Jade.